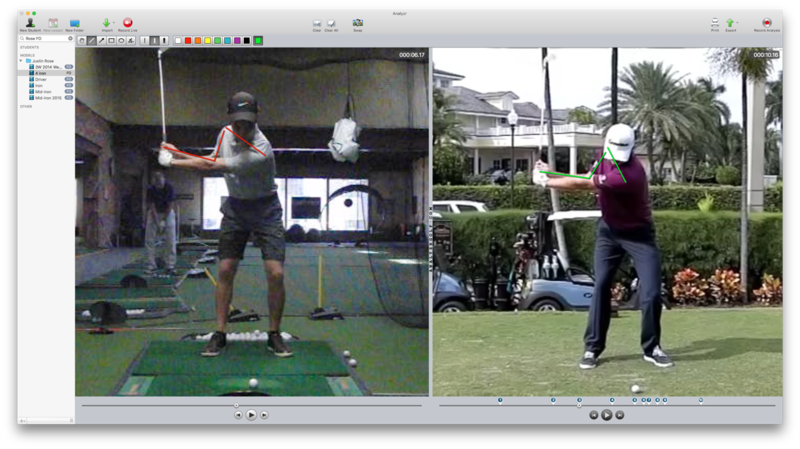 Since 2011, Golf Evolution has offered our online Evolvr instruction platform. Evolvr has served hundreds of customers and helped golfers reduce their handicaps by thousands of strokes. We’ve taught everyone from relative beginners to current touring professionals on evolvr. For $49 per month ($59 the first month), you’re granted access to our team of top instructors, and you’re able to get up to four lessons on the full swing, short game, putting, driving, bunker play, or anything else per month. Upload your videos (typically a face-on and a down-the-line video) and notes on what you’re looking to improve to your personal, private “Evolution” discussion topic. Within 3-4 days, an instructor will reply with a video lesson or other supporting materials. You practice and play better! It’s that simple. Evolvr works on your schedule, and you can cancel at any time. It’s the best deal going in instruction, with hundreds of satisfied golfers. To get started with evolvr, visit the site at https://evolvr.com/ and create an account. Film yourself hitting some golf balls, and in a few short days, you’ll be on your way to playing better golf! It’s that simple.